NTR Biopic is releasing in two parts NTR ‘Kathanayakudu’ and ‘Mahanayakudu’ on January 9th and 24th respectively. The movie team is busy meeting the deadlines and canning important scenes in Mahanayakudu. Kathayanakudu has completed shooting and is under post-production phase. On the other hand, as we all know big star cast has roped in for crucial roles in the movie. Rana Daggupati, Rakul Preet and Vidya Balan have completed their shooting their scenes in the film. 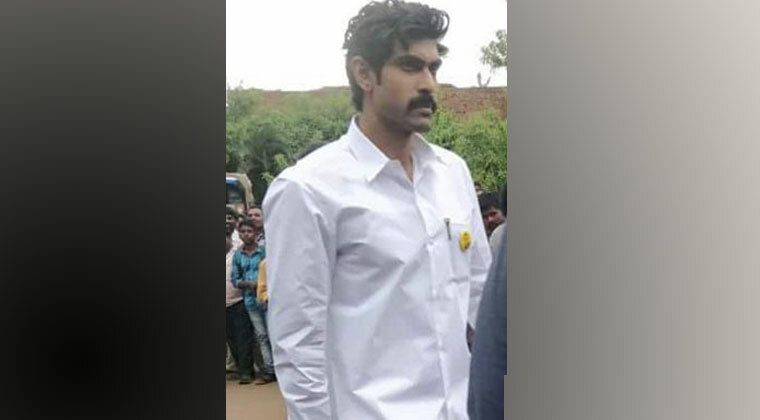 Rana Daggupati will be seen in Chandra Babu Naidu role. Coming to the latest buzz, There are speculations that Rana scenes are chopped off and he will be seen in only one scene reveals sources. Considering the duration of the film there are chances of adding his extra scenes in the movie or release it for movie promotions. Krish is directing NTR, Balakrishna is playing NTR in the biopic bankrolled by NBK Films. Previous articleచైతూ చెయ్యెత్తి కొడితే బాక్సాఫీస్ బ‌ద్ధ‌లేనా..? Next articleబాలీవుడ్ ఊపిరి పీల్చుకో.. ఇర్ఫాన్ ఖాన్ వ‌స్తున్నాడు.